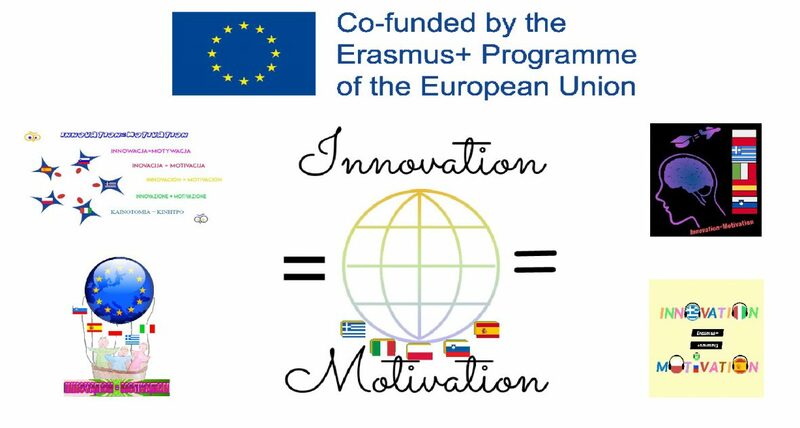 Innovation=Motivation: How to be a smart student with a creative mind, is the title of the international project designed by five schools from Greece, Italy, Poland, Slovenia and Spain for a period of 24 months. Partner schools have several years of experience jointly developing eTwinning projects and in this occasion they intend to develop an innovative proposal to implement innovative practices related to ICT, promote the acquisition of skills and competencies and address the problem of early school leaving and disadvantages of our schools. For this reason, special priority will be given to participants with fewer opportunities to participate in project activities. To develop digital competence beyond the use of given applications, by designing their own applications. To highlight the professional profile of teachers by means of implementing innovative and motivating methods, the development of their digital competence and the ability to work as a team with other professionals, while promoting the improvement of their linguistic competence in English. To establish in schools a methodology of Gamification and Project-Based Learning where students will have to solve problems, work as a team and respond to specific needs by designing computer applications. To develop an entrepreneurial mind-set and the ability to “learning how to learn” from the analysis, research and development of their own projects. To encourage creativity, logical thinking, the ability to order ideas and the desire to outdo themselves. To build social relationships with other children, the ability to work as a team and to communicate the results in the mother tongue and in a foreign language. To improve the knowledge of the subjects of the educational curricula by designing interactive educational activities from different subjects. To propose innovative and motivating methods capable of attracting students and tackle school failure and early school leaving. To encourage students to know different training options when they finish compulsory schooling, encouraging them to continue their school career in professional training programs.